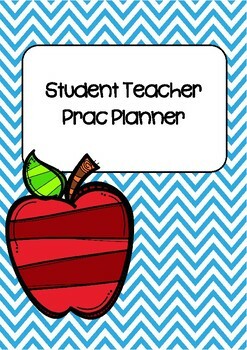 This is a student teacher practicum planner. 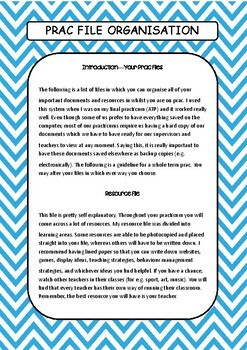 There are over 80 pages of templates, covers and tips to help you on your student practicum. 1. 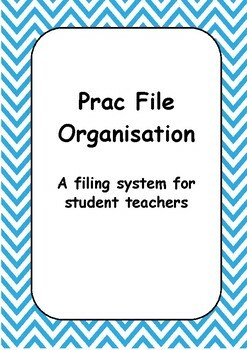 Prac File Organisation. A filing system on you how can organise your documents in your file/s. 6. Special educational needs and medical information. 7. Websites, usernames and passwords. 8. A page to note down your resources. 19. Verbs to use when writing specific learning goals. 22. Multiple tables/templates for reflection. - Week 1, Week 2, etc. Please Note: This item is a PDF and is not editable. 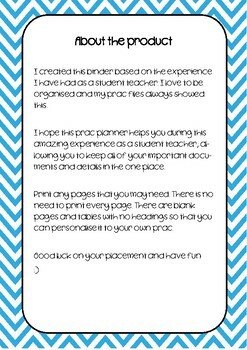 This planner is intended to be printed and stored in a folder.